Jeff Adams Practical Tips for Profitable Real Estate Investing Today I am going to share with you a few of my insights about the real estate investing phenomenon. These are just some very simple and practical real estate investing tips which, if you follow them intelligently, will help you become a smarter and more successful investor. If I can do it, why can’t you? I am Jeff Adams, one of America’s most successful real estate investor and most sought after real estate consultant. Now, what makes me such a huge success in this field? Do I have some special talent, am I smarter than others or do I have some kind of a weird sixth sense?No. I think, besides a lot of ‘smart’ work and the years of experience that I bring to the table, the practical and down-to-earth approach I project in any of my consultations to people has a major role to play in my success as well as popularity. And I strongly believe that anyone can achieve the same amount of success as I have if s/he will apply some fairly simple principles into their investment strategies. 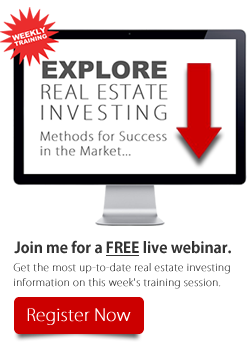 Real estate investing is not gambling. It is not a wishy-washy process of blindly putting your money into some property and hoping for the best. That, in fact, is the fastest way of losing your hard-earned money. So following are some insightful real estate investing tips to make your investment decisions sound and profitable and help you grow as a successful real estate investor. Why do I say so? Simply because, like any other science, it requires careful study and research of the field. You need to dig deep into the past, present and future trends in the real estate markets to have a real grip over the subject. You cannot depend on mere speculations or guesswork. You need to gather concrete facts, study them well, analyze them, and base your investment decisions on them. Yes, that’s true. It is also an art because you need to use your intuition too while you invest. You should be able to sniff the right opportunity and follow your heart at times. Your solid research and study of the market lays the foundations of a sound judgment. But the final decision, particularly in a field like real estate investment, where trends can change so rapidly, you should have the heart and flexibility to adapt and adjust and go with the flow. This is true to anything in life. Unless you know what you want and where you are going, you cannot achieve anything in life. Sheer luck cannot take you far. Life is like a strategic game and so is real estate investing. You must set clear goals before you step into the game zone. Be specific. Outline your action steps such as what exactly you are going to do to invest, what strategies will you follow to study the market, where and how will you search for and find the relevant facts, which experts, agents or other investors you will meet to get advice or opinion from, etc. All this effort will pay rich dividend in the long run. Follow these wise words of the ancient eastern masters. They are timeless truths and apply to real estate investing too. Normally, a new investor is in a hurry to make a mark in the field and prove himself. This can be a mistake. You have nothing to prove – neither to others nor to yourself. Don’t be in hurry to be successful and make it big. Take things slowly and build a sounding footing. Be open to learn from your own as well as other’s mistakes. Keep taking small steps towards your destination. You will get better at spotting the right opportunities only with time. Are you worried about the big hedge funds companies gobbling up all the properties in America? Although it is true that these companies, due to their sheer size and investing power, seem to create a threat to the small and newly starting real estate investors, a smart investor can find ways to carve their own way through it. The key is, unlike these hedge funds, to focus on a single property at a time instead of multiple ones. Also build good relations with local investors, agents, etc. and win their trust. This gives you an inside track to your local property deals which big hedge fund companies do not have. Real estate investing can be fun and enjoyable if you develop the right mindset towards it. It can be a very lucrative field and if your follow these practical tips, you will start getting better and better at making the right investment decision at the right time. Right timing is really a key factor in any kind of investing. Once you find your timing right, the day is not so far when you too will share your own success tips with new investors.Happy investing!